Marvin Ronsdorf of Prorevo Blog just released a new PES 2015 video in 1080p, this time showing an online match against Jjoseca of WENB ES. The new PES 2015 PC gameplay video is also the first PES 2015 gameplay video recorded on the PC version that's available in 1080p. The match, which Germany wins 3-1 after going down 1-0 against Spain, runs pretty smooth, while the graphical quality from the wide cam looks very similar to PES 2014 on PC. 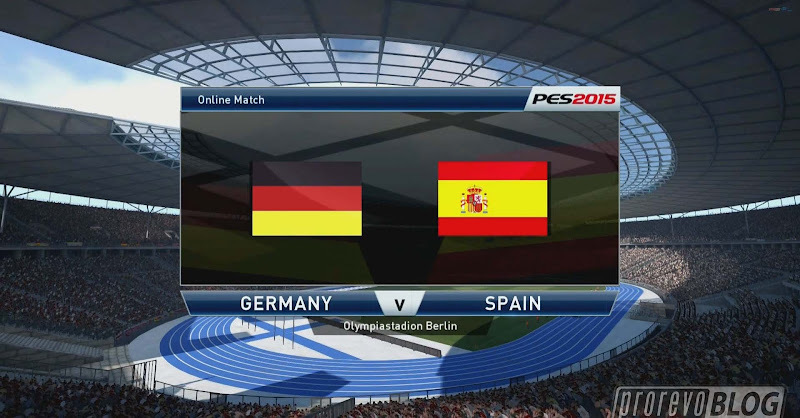 This is the new PES 2015 online gameplay video of Germany against Spain.